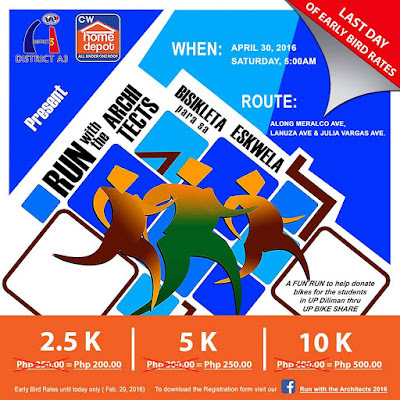 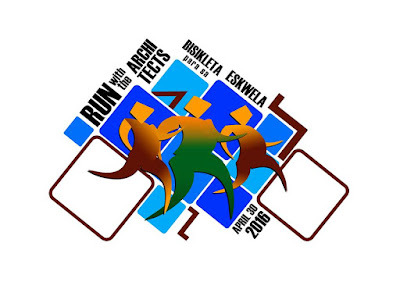 The first-ever Run with the Architects: Bisikleta para sa Eskuwela 2016 will be held on April 30, 2016 at the CW Home Depot Ortigas, Pasig City. 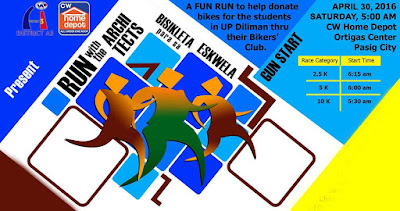 Proceeds of this run will help donate bikes for the Bikers' Club of UP-Diliman. Assembly time will be at 5:00 am. 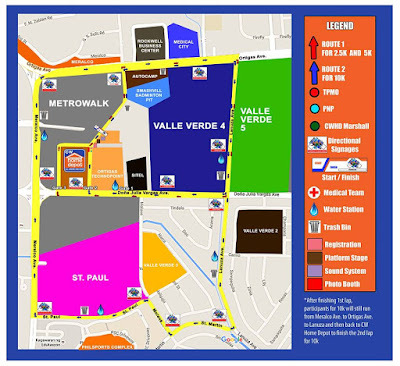 There will also be a Design Clinic at the race grounds where you can consult architects regarding your queries about your home or business space design. 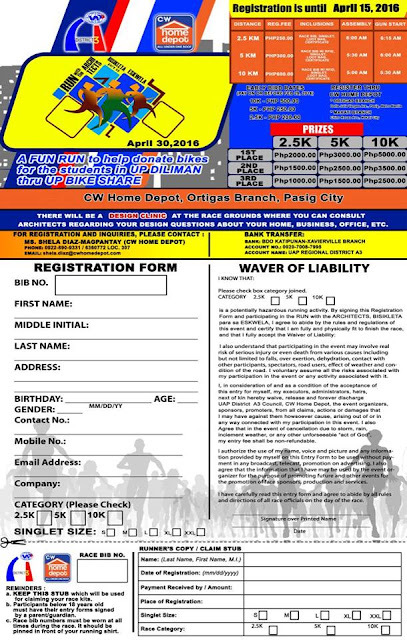 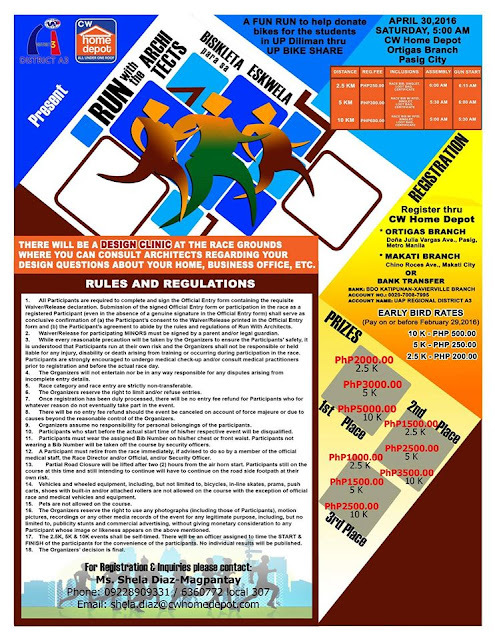 Have the chance to experience an exciting and unique race route covering Ortigas Ave., Lanuza Ave., St, Martin, St. Paul, Meralco Ave, & J. Vargas Ave.